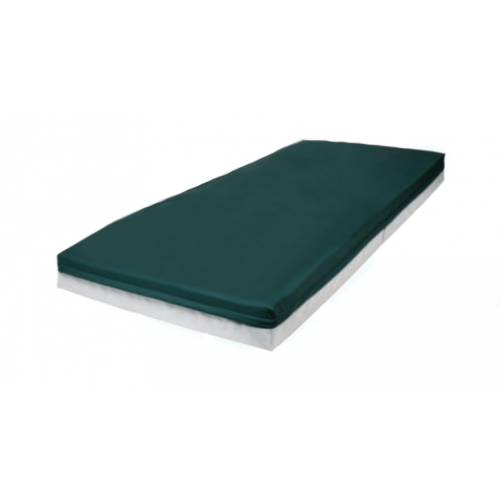 Air mattress covers are an added layer of comfort that provides a barrier between the patient's skin and the underlying bed foam. The PressureGuard® Renew Mattress Cover, by Span America, takes those protection features further by helping prevent health-related issues from developing with those who are bedridden or need extended rest in a bed. This air bed cover has properties that help the development of bed sores and skin maceration.The coverlet material and design works to prevent skin maceration by both wicking away moisture and help preventing shear forces against the skin when the body extremities and lifted or lowered -- or simple everyday body movement that causes friction. The PressureGuard® Renew Mattress Cover is an anti-microbial, bi-directional, stretch cover. The main thrust of the cover's design is to be another aid in the overall aim to prevent "sheering", or stretching and pulling, of the skin when elevating and retracting the bed. This feature ultimately is to reduce skin irritation that leads to pressure ulcers and to fit around the raised edged of the mattress that keeps the patient from slipping from the mattress side, or getting trapped between the mattress and rail. The friction of the fabric is lessened by the design and materials used in the sheet. The cover sheet has three zones, called "sheer transfer zones" by Span America, where they allow the user to glide easily when the bed has the head elevated and when they need to return to the original position. The sheer transfer zones are located beneath the points of highest pressure: upper back, buttocks and heels. The zones will also minimize irritation with everyday body movement by allowing the torso, arms and legs, smooth glide and softer contact than typical fabric. These glide features are especially helpful in reducing sheer when the user sits up and rotates the buttocks to get off the bed mattress. The PressureGuard® Renew Mattress Covers are fluidproof, tear resistant, anti-microbial, and can be cleaned with typical, everyday fabric cleaners. They also provide a level of protection to prevent the air bladders from puncture forces. They come equipped with an inner fire barrier sleeve that meets federal safety compliance. They are sized 35 inches wide by 80 inches in length and 7 inches deep.The cover is designed to fit over the PressureGuard® Renew Mattress and are fully replaceable. The mattress cover has a bi-directional stretch. 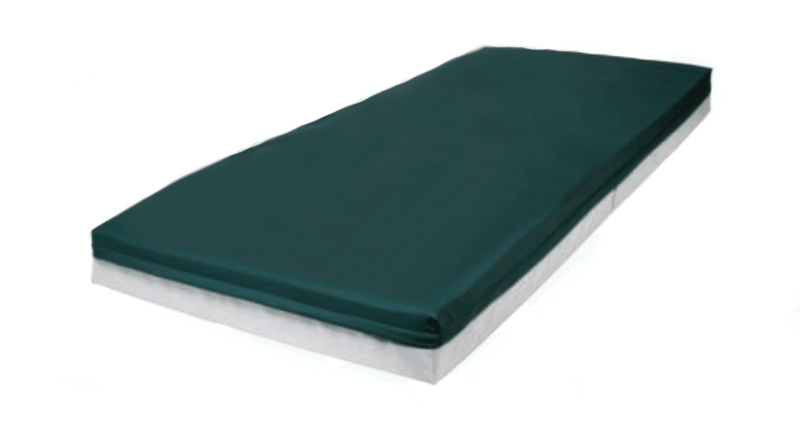 The cover sheet has anti-sheer properties to help prevent bed sores. The material has an anti-microbial property. The coverlet will allow the moisture to be wicked away by the low-air-loss therapy . It has a flame-resistant sleeve that complies with government regulation guidelines. It will stop fluid from soaking through.